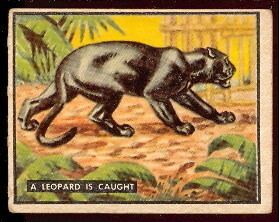 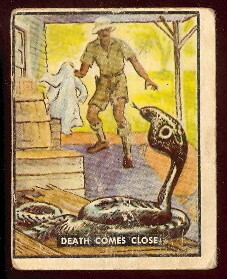 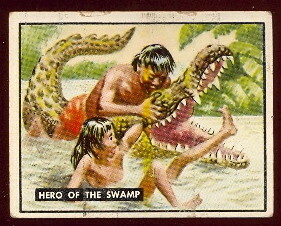 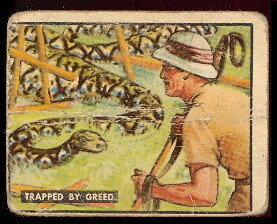 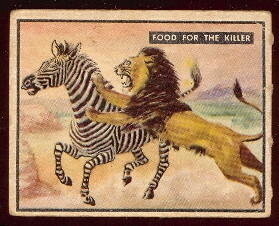 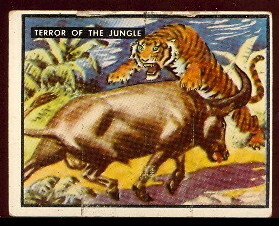 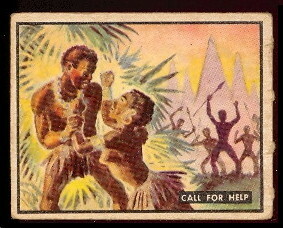 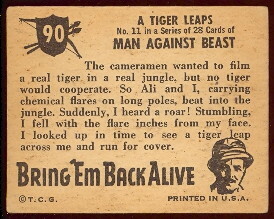 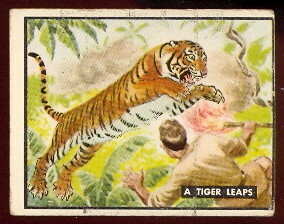 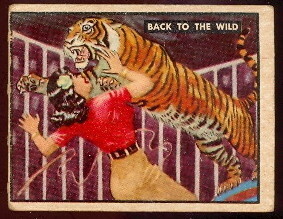 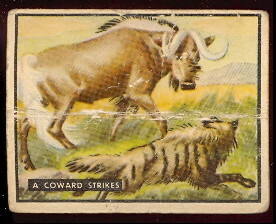 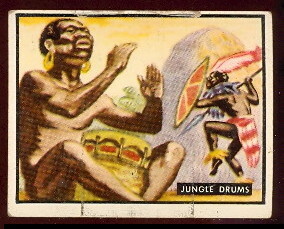 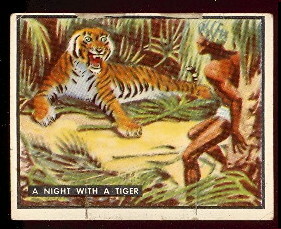 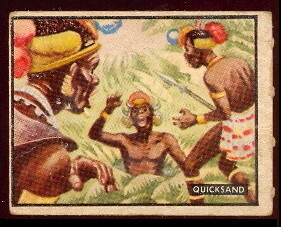 The 1950 Topps Bring Em Back Alive follows the adventures of Frank Buck as he explores the deep jungles of Africa and captures wild animals. 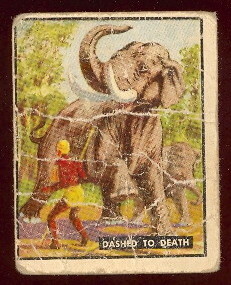 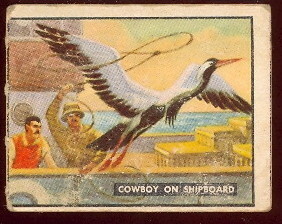 The 100 card set has color drawings on the front and descriptions on the back. 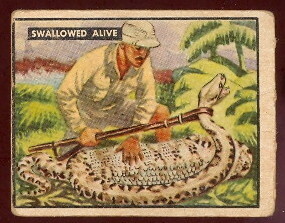 The cards measure 2-1/16" by 2-5/8".